Donations of wrapped candies are needed for our third annual Easter Egg Hunt to follow the 11:30AM Easter Mass on April 21st. Please feel free to drop off candy donations at either the Rectory or the School Office no later than Friday, April 12th. 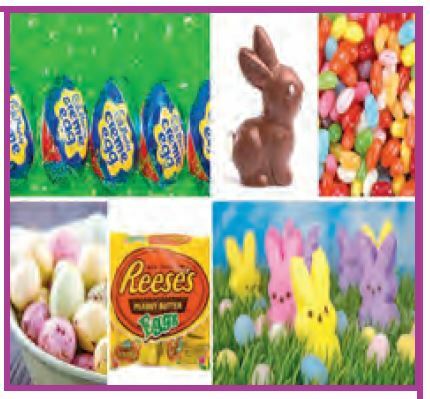 We also plan to have a box for Easter Candy donations in the vestibule between the Church and the School if you would like to bring them with you to Church on Sundays. We will be gathering to fill the eggs for the Egg Hunt on Saturday, April 13th, from 10AM until 12 Noon in the Hayes Community Room. Please call the Rectory at (847) 872-8778 to let us know if you are able to assist with filling the eggs. It is always an enjoyable process working with other parishioners and school families. We do ask that any students who would like to help with the egg stuffing as part of heir Confirmation Service Hours be accompanied by an adult.